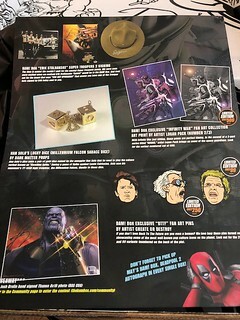 We’re back to the nice, full-color sheet with plenty of details about what’s in the box. Love it. 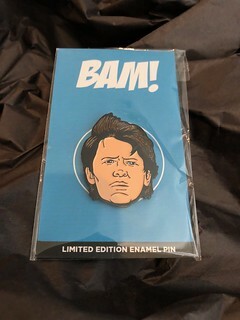 Back to the Future Pin – I would have had NO clue who this was supposed to be without the detail sheet… and I’m a huge fan of the series. Unfortunately, this looks nothing like Marty McFly or Michael J Fox. 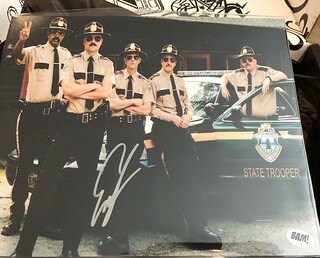 Super Troopers 2 Signed Print – Unfortunately, this isn’t scifi or fantasy, and the first installment never interested me. So, I definitely wont be seeing this one. 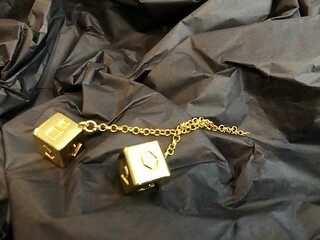 Han Solo’s Dice Prop Replica – I remember these from the last Star Wars installment. These are a nice, heavy replica with plenty of detail. I’ll be keeping these. 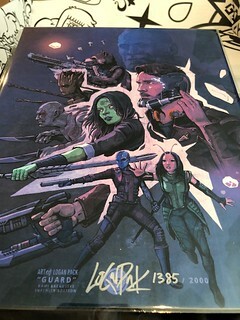 Infinity War Art Print – Like last month’s, this is another gorgeous print with some of my favorite characters. I like this print much more than the possible black and white variant as well. I enjoyed the art print again this time. And again, it’s probably my favorite item in the box. This seemed like another slim box, with only 2 prints, a small trinket, and a pin. 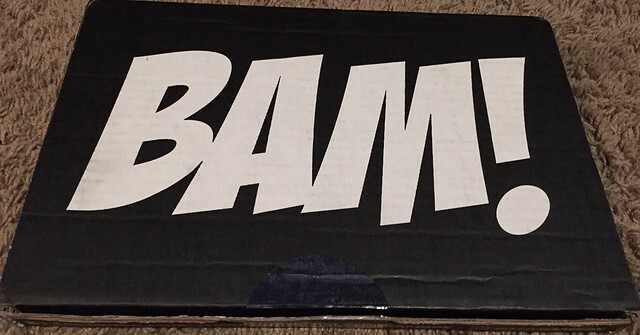 But this still one of the least expensive boxes that wont bankrupt you. I like the variety of genres and the nod to Solo who has a movie out this month.